Summer in Italy is always as hot as the weather in Indonesia, especially in July and August when sometimes the African heat usually hits Italy for a couple of weeks. The weather in the place where I live for example, the Province of Milan, could reach from more than 30° to even above 35° Celsius. When the Summer temperature is increasing badly like this, escaping from it for a day or two is always a great relief for people who never like hot weather, like me 😀 In July 2012, I found a great escape to the mountain area in the Province of Sondrio, Lombardy where I was welcome with nice 20° Celsius in the afternoon and 14° in the night. This perfect discovery was in Tirano, Valtellina, which is between the border of Switzerland and Italy. And there, not only I found great Summer that I feel as decent temperature, I also discovered the beautiful surroundings and tasty food from Valtellina. For people who want expanded holiday between two countries, Tirano would be nice to visit. Not only it offers the fresh green mountain area, it also has the Bernina railway station that will connect the visitors to Switzerland if they want to make their holiday not only in Italy but also in Switzerland. The Bernina railway and its cute red train called Bernina Express are protected as a world heritage by UNESCO. Bernina Express and Bernina railway are considered as an outstanding example of railway and train development in the 20th century with high quality and great technology that could operate well in mountain area, that could be sometimes dangerous. 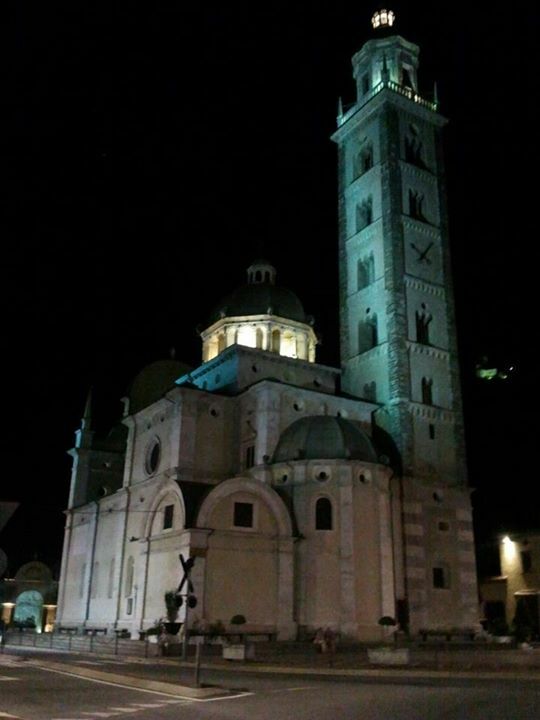 The basilica is a magnificent example of the renaissance era in Valtellina. The first stone was placed back in early 16th century while the full construction was finished in the 17th century. It was stated that the basilica was finished by Giuseppe Bulgarini from Brescia and Salmoiraghi from Milan. The place is always a crowded tourist area where many visitors would come from European countries to admire the wonderful architecture of the basilica. While being there and enjoying the fresh surroundings of Tirano, I also had the chance to taste the special dish from the area, i pizzocheri della Valtellina. This is the typical pasta from Valtellina. 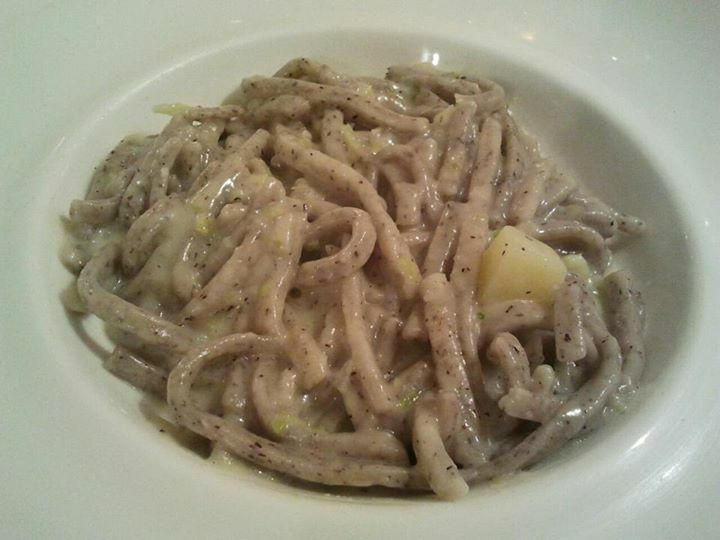 As one of the pasta lovers, this special dish is delicious. The pasta chosen for the recipe is buckwheat pasta, which is unique and different from the pasta normally used for cooking. To make the dish, people can use butter and cheese such as Parmesan or Fontina. Pizzocheri is perfect to taste during fresh and cold weather like Autumn or Winter. And surely, it’s also perfect for the people living in the mountains as the weather and temperature there are always fresh. Maybe this is why Pizzocheri is recognized as the special dish from Valtellina.